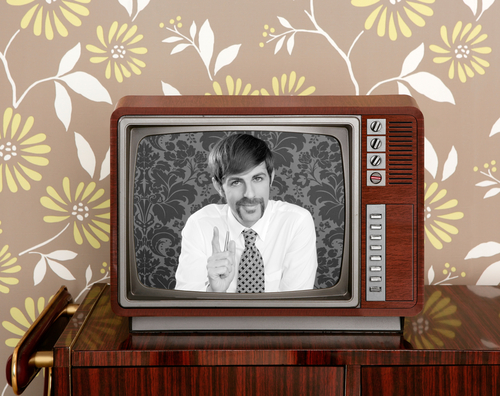 Antique TV Shows | Debunking Reality TV Myths | Skinner Inc. Turn on your television and you’ll find a slew of reality TV shows whose cameras are fixed on nearly every facet of the antiques world. Some shows are serious; others, a little silly. Still, I must admit that I like the concept of antiques and auction TV shows; they shed light on the fun and fascination of the industry. They entertain a lot, educate a little, and leave people wanting to know more about art, antiques, and auctions. Some of these programs seem to suggest that you need to attend a special appraisal event and wait in line for hours to learn the value of your items. The fact is, verbal appraisals happen every day at auction houses around the country. The service is typically provided at no charge and with no obligation to consign. You simply need to call and make an appointment with an appraiser. Alternatively, many auction houses offer online antique appraisals on their websites. Watch these shows awhile, and you get the idea that nearly everyone has a valuable family heirloom or a long lost work of art. The truth is, antiques and art of great value are rare – that what makes them so coveted. It takes hours of filming, plus hundreds, even thousands of people, each with several items in tow, to capture just a few great moments of antiques TV. Keep this in mind when you see something spectacular on air and think, “I have one just like that!” When you get something appraised, keep your fingers crossed, your mind open, and your expectations reasonable, and you won’t be disappointed. Another myth perpetuated by some of these programs is that shady and unscrupulous characters abound in the world of antiques and auctions. That’s simply untrue. The vast majority of dealers, appraisers, pickers, and collectors are honest, knowledgeable, hard-working professionals who are dedicated to the sale and preservation of antiques and fine art. They love what they do and have a passion for the objects and the business. Most aren’t trying to swindle people out of their family fortunes. If you have an experience with a dealer, auction house, picker or appraiser where something seems amiss, trust your gut and find a reputable expert to work with. We’ve all seen those TV moments where someone is told their item is worth thousands, even a million dollars – it’s exciting! But estimated value is not a set price. It doesn’t mean an object would sell tomorrow for that amount of money. It’s simply the opinion of an expert at a given point in time, based on what similar items have brought in the recent past. Like all markets, the art and antiques market fluctuates and values change over time. Don’t assume your chest of drawers, appraised for $10,000 a decade ago, is still worth that amount today. It may be worth more or less depending on the venue in which it is sold, changing tastes and market demands, and the economic climate at the time of sale. To realize the full value of your property, work with a dealer, appraiser, or auction house representative who knows the current market and can provide maximum exposure to a world of buyers. Sometimes these shows give people the idea that they can make easy money simply by buying old things at flea markets and tag sales, then selling them at auction for a hefty profit. If only it were that easy! The world of antiques is not a “get-rich-quick” environment. Antiques and art of great value are rare, and it takes years of experience before one is able to discern the truly valuable from ordinary stuff. I always caution both new and seasoned collectors: buy for the love of the objects, not as an investment strategy. After all, collecting should be about the journey, not the destination. If you first follow your heart, and then buy the best quality you can afford, you will rarely go wrong. You’ll enjoy your collection everyday, and likely see a modest profit when you eventually sell. This entry was posted in Blog and tagged antique appraisals, antique tv shows, antiques roadshow, Auction FAQ, Auction TV shows, Consignment FAQ, Get Inspired, Karen Keane, online antique appraisals, reality TV myths by Karen Keane. Bookmark the permalink. Buy what you love and you will never be disappointed. If you are buying for investment you need to be an expert or obtain expert advice. You are so right, buy something because you love it, not because you think it might be valuable. This is a very good article that offers clear insights to an often misunderstood industry. I only wish that more people would contact accredited,trained and tested professional appraisers before making a purchase or selling, donating or discarding their items and family heirlooms. I believe that most people just want to know three basic things: 1. What exactly it is that they have. 2. How much it may be worth in today’s market and 3. How to make an informed decision about their artworks and antiques. How to best meet their personal requirements and unique situations by either insuring, donating, selling or otherwise caring for and preserving them for the enjoyment of future generations. ‘Spot on’ observations by Karen & the others about the trade and appraisals. Good point about ‘rare’ items. And don’t forget: ‘collectible’ and ‘collector’s item’ does not always mean ‘desirable’ or particularly ‘valuable’. Many times a ‘one-in-a-thousand’ item turns out to be ‘one of many thousands!’. This field is not suited for mercenaries. Without genuine interest and curiosity this is a dull field to be in. A lot of time is spent in conference with other dealers, reading and digging into obscure and dull catalogs, research journals and musty books for the gem that makes the attribution or gives a value or provenance to the studied object. In antiques, as with everything, it is the details that matter, and what makes the difference between a common or a rare or desirable object. Getting out to shows, taking the pulse of the market among dealers & online is just what you do. Never met a good dealer who didn’t rely on research in some form. Most start out with a genuine interest in the items they deal in. Those of us who love to read and research are doubly blessed (or cursed) with digging deeper into our chosen & often shifting obsessions. As a person who started ‘picking’ in elementary school with thrift store finds, it is the treasure hunt that keeps me interested, no matter where I am shopping. Now I am a antiques nerd and part time dealer, always with my head in books or online doing research or trades with other collectors. I love it and would do it with no monetary incentive. All my ‘finds’ collected over the years add up to a tidy sum now. A nice reward for my curiosity and really, not ‘work’ at all. Considering the books of marks and things I have on my smartphone and instant internet, research is a breeze compared to a few years ago. Today, I junk at thrift stores and brake for yard sales, but more often consignment shops and mainline antiques dealers. If the dealer or shop does not know that the candlestick is worth $250 and not the $12 they are asking, it is not my responsibility to appraise it for them or pay them more than they ask for it. In picking, whether stocks or antiques at whatever level, it comes down to knowing what is a good value in a dynamic market environment. How many of us have gone to see folks who claimed to want to sell things, but really wanted a free appraisal? Did you enjoy wasting your time and gas? If someone wants to sell something they should have an amount in mind. If they want an appraisal they should be upfront about it and get the appraisal before selling and not from the same dealer. I don’t always charge for my opinions- for that’s what an appraisal is, but appreciate the courtesy of an honest solicitation for my expertise. Loved this post, especially the reminder about the real reason why we collect: for the love of the objects! All true except #3 and I have the stories and experience to prove. But I won’t tell them as I am a gentleman. Yes! Finally something about top 10 captcha entry work sites.